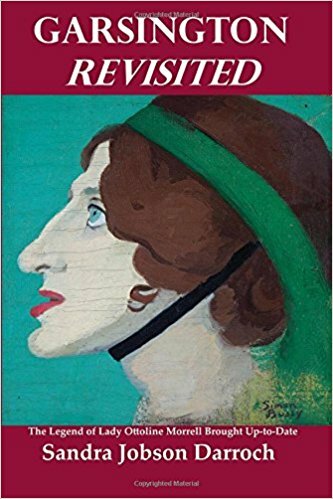 Garsington Revisited is an updated and enlarged version of a study originally published in 1975 with the title Ottoline: The Life of Lady Ottoline Morrell. 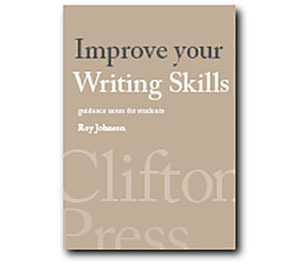 The book’s original chapters have been revised in the light of recent research and supplemented by vignettes of how the book came to be written in the first place. The main outlines of Ottoline Morrell’s life are fairly well known. She came from the aristocratic Cavendish-Bentinck family and was raised at Welbeck Abbey in Nottinghamshire. Although the family were upper class, they aspired to be even more so, and artificial titles were created for all its members on the recommendation of Benjamin Disraeli. Ottoline was a rather lonely and introverted child. She felt out of place in the aristocratic milieu she inhabited. She did not mix easily, and by the time she was a young woman, being almost six feet tall, she felt herself something of an outsider. The first of many influential men in her life was the Archbishop of York, though his wife was not enthusiastic about their friendship. He encouraged her to try further education, but two attempts at Edinburgh and Oxford came to nothing. In 1896 she made her first (chaperoned) visit to Italy, which opened her eyes to visual beauty and a sense of personal liberty – very much in the spirit of E.M. Forster’s Where Angels Fear to Tread (1902) and A Room with a View. She was attracted to older men – the next two being the future prime minister Herbert Asquith and the Swedish physician Axel Munthe, to whom she lost her virginity. But the first serious contender for the hand of the Duke of Portland’s sister was a middle-class lawyer from a Midlands brewing family – Philip Morrell. Their wedding took place in 1907, and they remained married for the rest of their lives – despite what was to happen in the years that followed. She assisted her husband in his political ambitions with the Liberal Party – which was then considered outrageously radical. She also started the first of her Thursday night ‘at home’ soirées in Bedford Square. Guests included a mixture of politicians and artists – Asquith and Max Beerbohm, Ramsay MacDonald and Henry James. A year after her marriage she met the artist Augustus John and rapidly began an affair with him. Around this time she also met and befriended Virginia Woolf, Lytton Strachey, and other members of the Bloomsbury Group who had their own ‘at homes’ in nearby Fitzroy Square. She also met the art critic Roger Fry (who became one of her many occasional lovers) and began to patronise young artists such as Jacob Epstein and Duncan Grant. Augustus John’s mistress Dorelia sought to reclaim her position as dominant female by introducing Ottoline to the painter Henry Lamb – and the strategy worked. Ottoline went on to have a protracted dalliance with Lamb. When she took him to her country cottage in Oxford, this attracted the attention of Lytton Strachey, who had also fallen in love with Lamb. In 1911, whilst her husband Philip was away in his new constituency seat of Burnley, she entertained Bertrand Russell to dinner – an evening that went on until until 4.00 am and ended in a burst of mutual passion. They agreed to reveal the affair to their respective spouses, both of whom reluctantly agreed to tolerate the situation so long as it was kept secret. All this took place at a time when the possibility of divorce was much more difficult, and even the threat of its being made public was enough to end a (man’s) career. Ottoline did not make her problems any easier by continuing her relationship with Henry Lamb at the same time. The affair with Russell rumbled on, despite their fear of a public scandal. The social turbulence was eased somewhat by Russell establishing a love-nest apartment around the corner from the British Museum in the appropriately named Russell Chambers. 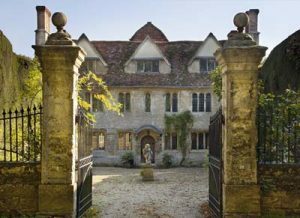 Meanwhile the Ballets Russes came and went, Russell’s latest book was savaged by his star pupil Ludwig Wittgenstein, and Philip Morrell bought the lease on Garsington Manor, a Jacobean house outside Oxford. These events were then punctuated by the onset of the First World War. She also invited D.H. Lawrence to stay in a cottage in the grounds at Garsington. Russell and Lawrence struck up a highly charged friendship – which predictably ended in tears and Russell feeling close to suicide. It is well known that Ottoline showered Lawrence with practical support, gifts, and money – all of which he repaid by satirising her as Hermione Roddice in his next novel Women in Love. This caused a rift between them that was never properly healed. Eventually Russell grew more distant from Ottoline, but consoled himself by starting an affair with T.S. Eliot’s wife Vivienne. Garsington and Bloomsbury in general were busy arguing against universal conscription when it was introduced in 1916. The following year was a bad one for Ottoline. She finally separated herself from Russell, who by then had moved on to an affair with the actress Lady Constance Malleson. Then Ottoline learned that her husband Philip had not one but two mistresses, both of whom were pregnant. He broke the news to her whilst she was in a nursing home. Ottoline was devastated by the news: she could not understand how her husband could violate their marriage by committing adultery. She sought consolation with her new enthusiasm Siegfried Sassoon, seemingly unaware that he was primarily homosexual. Then she became embroiled with Middleton Murry and Katherine Mansfield, and added Aldous Huxley to her list of slavish live-in friends. In 1921 her protégé Aldous Huxley published em>Chrome Yellow, a satirical novel that lampooned Ottoline, her husband, and her Garsington friends, all of whom he had lived amongst – rent free. It was another cruel case of betrayal that led to a long-unhealed social rift. Nevertheless Ottoline continued to take an interest in her friends’ welfare and their often problematic marriages. As the 1920s wore on the upkeep of Garsington became more costly, and Philip Morrell had been presented with a demand that he pay for the education of his two illegitimate sons. So, Philip and Ottoline elected to sell up and go back to London. They moved into what Ottoline described as ‘the dearest little doll’s house’ at 10 Gower Street. Life there was more subdued, though she still employed five full time staff. When her old friend and antagonist Lawrence died, it was Philip Morrell who became legal advisor to Frieda Lawrence in her battle with the family as they contested his will. She won, but only after a long struggle. In 1936 Ottoline lost two of her close friends. Lytton Strachey died of stomach cancer, and as a result his soul mate Dora Carrington (who was married to Ralph Partridge) shot herself. Sensing that the end of an era was approaching, Ottoline began writing her Memoirs. Despite failing health however, she found new protégés in Graham Greene and Stephen Spender. As her health failed she put her entire trust in a personal physician who treated her with a controversial new drug Prontosil. It killed her, and shortly afterwards he committed suicide. Garsington Manor was taken over in 1981 by the Ingrams family who made the estate available as an annual centre for operas which were staged in the famous gardens that Ottoline had created. Complaints about noise were eventually made by local residents, and the opera festival was transferred to the nearby Getty-owned Wormsley Park. The basic materials for this lengthy and thoroughly researched biography are the memoirs and the huge amount of correspondence that has been made available in recent years since interest in ‘The Bloomsbury Group’ became culturally fashionable. Sandra Dorroch offers a bibliography, an index, and a meticulous annotation of her sources; but ultimately this is an amateur work – in the best sense of that term. It is a labour of love rather than a professional biography. For instance, despite the critical apparatus, you would not know from this account that Lady Ottoline only took two baths a year.